Muzaffarpur Electricity Bill: How to Fetch it Online? 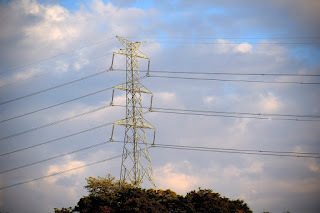 In this article, I am going to explain you to how to fetch Muzaffarpur Electricity Bill Online? Well, Electricity Management authority of Muzaffarpur sometimes doesn't provide you a bill. Maybe it is the fault of the personnel who doesn't drop your electricity bills at your home. Maybe it is the irresponsibility of the Department. However, Any of this case happens you don't worry because we make this process easier. This article explains you to how to fetch your electricity bills online right from sitting in your home. We will give you the two sources from where you could fetch you Muzaffarpur Electricity Bill. The First source from where you could fetch your electricity bill is PayTm and the second one is NBPDCL official website. Below we reveal the details. Check it Out. To fetch you Muzaffarpur Electricity Bill via PayTm, First visit this link. Next, Fill out your State, Board, and CA Number. Then, Click on the Next Button down below. Once you do these steps, PayTm fetch your Electricity Bill and shows it to you. Fetching Bill via NBPDCL Official Site requires you to visit this link first. Once you visit this link, At the middle of the page the portal asks you to enter the CA Number. Enter the CA Number and Click on the submit button to fetch the bill. Note: CA Number here stand for Consumer Number. You can find this number in your Electricity bill which the authority provides you. You will find the valid CA Number in the bill that is given by NBPDCL to you. Read also: How to Pay Electricity Bills Online in Muzaffarpur after NBPDCL takes Charge? Muzcorner - Muzaffarpur News Portal: Muzaffarpur Electricity Bill: How to Fetch it Online? In this article, I am going to explain you to how to fetch Muzaffarpur Electricity Bill Online? Read the Full Post.